This is the first of two episodes where Audrow Nash interviews several companies at the International Conference on Robotics and Automation (ICRA). 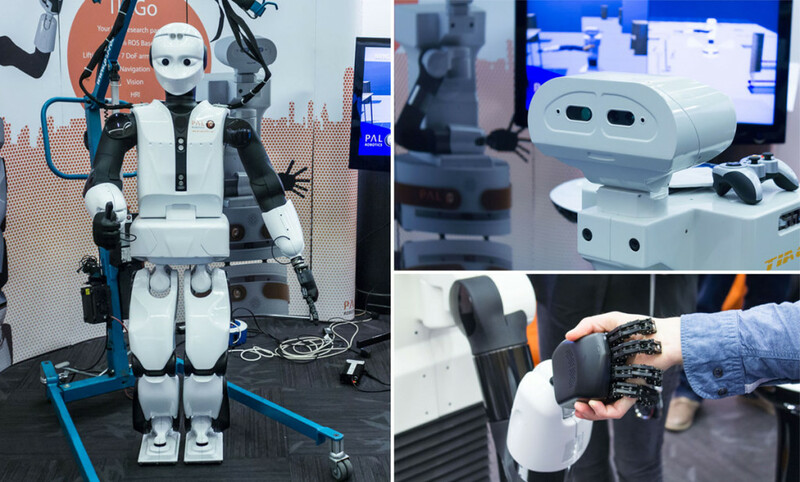 ICRA is the IEEE Robotics and Automation Society’s biggest conference and one of the leading international forums for robotics researchers to present their work. The 2016 conference was May 16-21 in Stockholm, Sweden. And don’t miss our #ICRA16 photo essay! Soheil Salehpour, Development Engineer from Scania, speaks on autonomous trucks. Judith Viladomat, Corporate Communications at PAL Robotics, discusses a humanoid robot for research labs. Bjorn Mannefred, Research Engineer at Husqvarna Group, talks about autonomous, robust lawn mowers. Mohammad Shourijeh, Research and Development Engineer at AnyBody Technology, speaks on human body simulation.